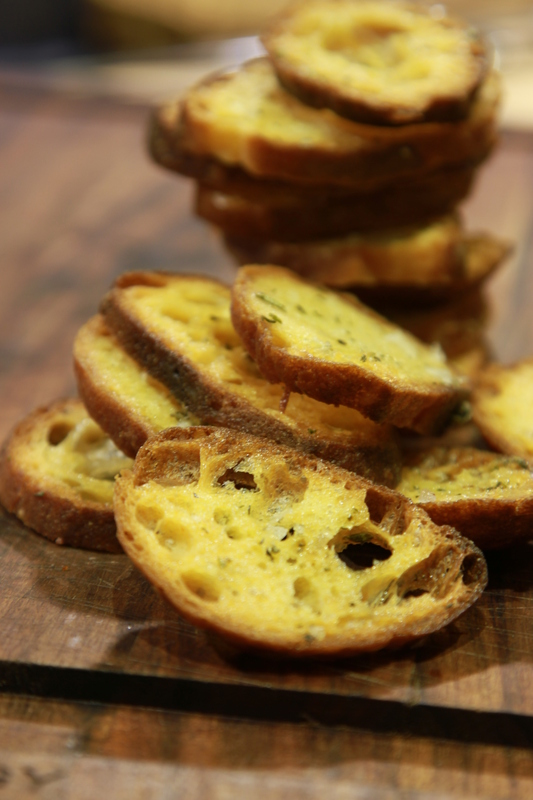 This is a really simple thing to do with left over bread. 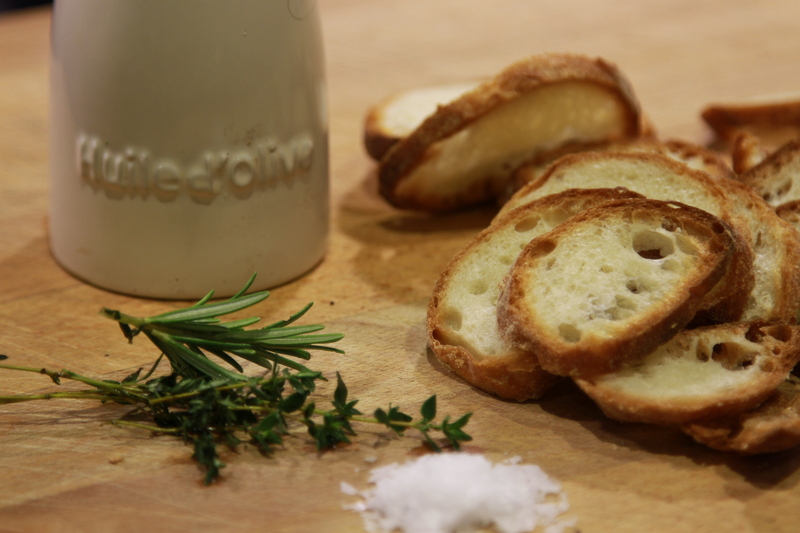 Traditionally, I believe that it was made with ciabatta, but it works with any crusty bread. I made some rolls a week ago and had a few left over and I noticed that there was lots of rosemary and thyme in the garden. The scene was set. Finely chop the rosemary (not the woody stem) and the thyme (again, not the woody bits but the softer stem is fine). Add this to the salt flakes in a bowl and mix with the olive oil. Arrange them on a baking rack rather than a flat baking sheet as the air can circulate and saves you having to turn them. 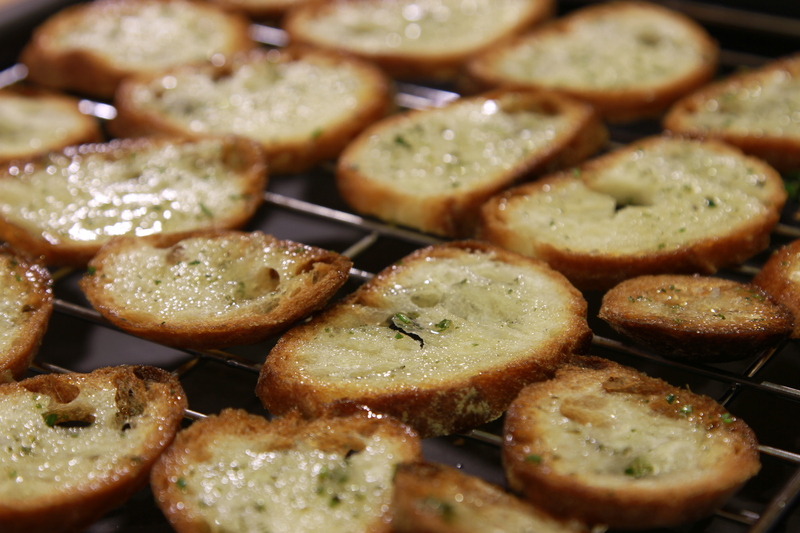 Brush this herby oil lightly onto both sides of the bread slices and arrange them on a baking rack. Place in an 100ºc oven for about 15-20 mins – this should really dry out the bread but leave it pale. Turn the oven up to 150ºc for a few mins – you’ll have to keep a close eye on them now as they go from pale to golden to charcoal in a flash! Remove them at around the golden stage.